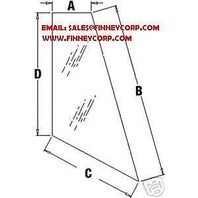 You are bidding on a (new) replacement rear (LH) corner glass for John Deere tractors / backhoes (see list below for model #s). This item is the same as the one at your local John Deere dealer; the only difference is, you will pay a lot more $$$$$$$ at John Deere compared to buying from us (see list below). Fix your cracked or broken glass now without spending a lot of money. THOUGH WE HAVE FIRST QUALITY GLASS, WE DO NOT MAKE OUR LIVING SELLING GLASS WE WORK EVERY DAY TO SAVE OUR CUSTOMERS MONEY ON THEIR HEAVY EQUIPMENT NEEDS. 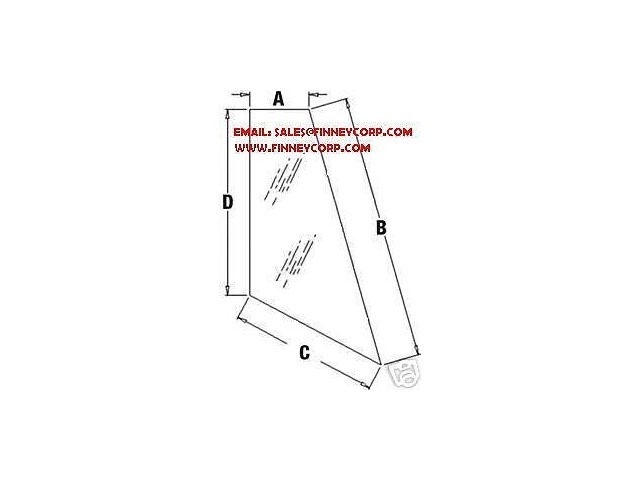 ANY PART YOU NEED, WE HAVE OR CAN GET IT.WE OFFER A FULL LINE OF JOHN DEERE PARTS (ALONG WITH EVERY OTHER MANUFACTURER'S PARTS) AT LOWER PRICES THAN YOUR LOCAL DEALER. WE'RE YOUR FRIEND IN THE PARTS BUSINESS. WE WANT TO HELP YOU WITH ANY OF YOUR PARTS OR PARTS PROBLEMS. 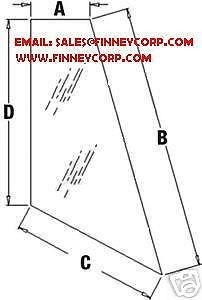 SO IF YOU HAVE ANY QUESTIONS ABOUT THIS ITEM OR ANYTHING ELSE WE CAN HELP YOU WITH GIVE US AN EMAIL AT SALES@FINNEYCORP.COM. WE SPECIALIZE IN PARTS FOR ALL TYPES OF MACHINES!